The latest onboard treatments are simply bliss – so why not share them with your loved one? With so much to do on board, not to mention all those exciting excursions ashore, cruising is the perfect holiday for couples who like to play together. But a his-and-hers pampering session takes togetherness to a whole new level. Many onboard spas now offer couples treatments, and even whole pampering packages, so lie back, hold hands, and surrender to your senses. Where: If you’re looking for some romantic R&R, invite your loved one to the Canyon Ranch Spa. Drift into a blissful doze on one of the heated mosaic loungers in the Persian Garden, an aqua-thermal environment that soothes and re-energises with billows of aromatherapy-infused steam. What: Experience the bliss of a “Two by Two” couples treatment – perhaps a hot stone massage using smooth pebbles of basalt, gently warmed by your masseur, while a calming essential oil promotes deep muscle relaxation. Or maybe an aromatherapy massage – a fragrant, full-body treatment that nourishes the skin and promises to restore mind, body and spirit. How much? Canyon Ranch Spa Stone Massage: 80 minutes, from $314 per couple. Canyon Ranch Spa Aromatherapy Massage: 50 or 80 minutes, from $218 per couple. With Two by Two treatments, couples can enjoy top-to-toe pampering to their hearts’ content. Where: Available across the Norwegian fleet, Mandara Spa offers more than 50 speciality treatments – so you are literally spoiled for choice. You can immerse yourself in the hot and cold experiences in the Thermal Suite, embrace the revitalising benefits of the Salt Room – filled with body-cleansing salt crystals – or simply take a dip in the Vitality Pool. What: Perfect for loved-up couples is NCL’s Deluxe Romantic Package, which includes a 25-minute half-body Swedish massage for each of you, with aromatic massage oils to relax and invigorate, plus sparkling wine and chocolate-covered strawberries in your stateroom on embarkation, canapés, roses, breakfast in bed on a day of your choice, a romantic dinner for two in Le Bistro, tea service one afternoon in your stateroom and a professional photo portrait. Alternatively, if a prepaid package isn’t for you, why not go bespoke and pick just one special treatment for you and your loved one – maybe a Couples Swedish Massage? How much? The Deluxe Romantic Package costs $299 on top of the normal cruise price. Couples Swedish Massage: 50 minutes for $269. Couples Swedish Massage and Bathing Ritual: 75 minutes for $329. If you really want to push the boat out, no one goes further than NCL. Where: With floor-to-ceiling windows, nine treatment rooms, indoor/outdoor relaxation areas and an outdoor whirlpool, The Spa on Silver Spirit offers indulgence on a sumptuous scale. What: Book yourself into The Spa’s private Couples Suite and enjoy an Elemis Deep Tissue Muscle Massage as you lie beside your loved one. Then, feeling suitably spoiled, you can toast your romance with complimentary champagne or a cocktail while soaking in the whirlpool. How much? Couples massage: 50 minutes from $344. Fizz in a glass and bubbles in a whirlpool – what’s not to like? Where: The LivNordic spa on board Viking Star is the first of its kind at sea, featuring eight treatment rooms, including a whirlpool suite and a dedicated space for couples. What: Couples can opt for Swedish massages, facials or a body treatment. Why not try the sauna, and bask on the warmed tile loungers, then step into the magical Snow Grotto – a sanctuary of gentle snowflakes – with the one who warms your heart? How much? Swedish Mindful Massage: 50 minutes from $150 per person. Nordic Facial: 50 minutes for $155 per person. For getting all your senses tingling, Viking’s hot/cold combo takes some beating. Where: With its exotic interior of natural stone and colourful mosaics, MSC Aurea Spa is a supremely calming retreat. What: Couples can choose from a wealth of “Spa Together” packages. The “All Exclusive for Two”, which you can add to your cruise price, embraces a whole menu of treatments including Himalayan Dream (45 minutes of bliss, delivered using rare fossil salts from the Himalayas, while warm oils suffuse the skin, giving you a deep sense of contentment). If you’re not opting for a prepaid package, treat yourselves to the four-hour Ultimate Deluxe Thermal Ritual, which includes a traditional Balinese foot-wash, full-body Balinese massage and a one-hour facial treatment of your choice. And throughout your spa experience you can also enjoy special smoothies and juices whose ingredients are known to enhance the benefits of each ritual. How much? The All Exclusive for Two package costs 475 euros booked in advance (878 euros if booked on board). Ultimate Deluxe Thermal Ritual: 770 euros per couple. Whether you opt for the full couples package or just a single treatment, MSC knows exactly what will float your boat. Where: Awaken your mind, body and spirit with a visit to the Crystal Spa. Inspired by the principles of Feng Shui, this soothing retreat offers massage, aromatherapy and acupuncture in a supremely peaceful setting. Facilities include a sauna and steam room, a private sun deck for relaxing before or after treatments, and an innovative “dry float” bed to create a feeling of weightlessness – just what you need to make the most of a dreamy Aroma Spa Ocean Wrap. 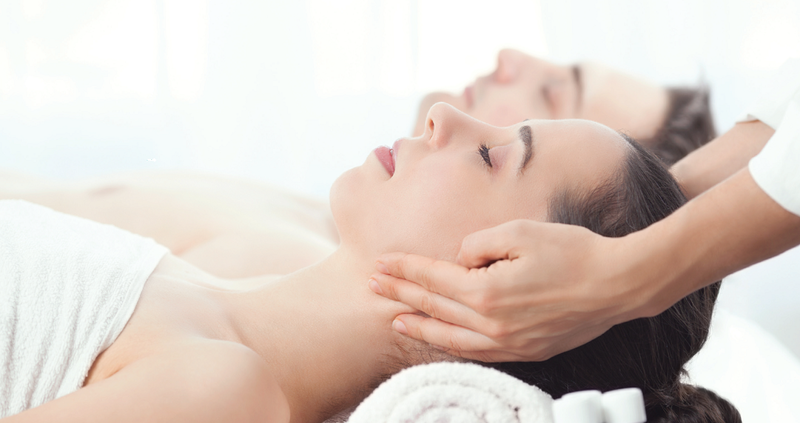 What: Treat yourselves to a sublimely relaxing Couples Massage, using Elemis products. Both of you will enjoy a full-body, muscle-melting experience as you lie side by side for 50 fabulous minutes. How much? Couples Massage: from $296 on Crystal Symphony and Crystal Serenity. The Crystal Spa is so perfect for couples that after a session here, you’ll be walking on air.